Some patients will describe a daily, chronic tension-type headache as well as a recurrent hard or “sick” migraine-like headache. This combination of tension-type and migraine headaches, previously known as the mixed headache syndrome, is now identified as coexisting migraine and tension-type headaches. Other terms used for it include: transformed migraine, chronic migraine and chronic daily headache. The type of headache may be evidenced through symptoms typical of its classification. 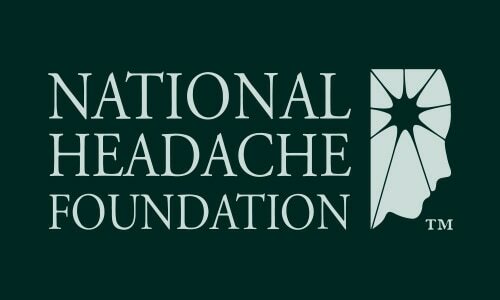 The hard or “severe” type may be unilateral and associated with nausea, vomiting, and sensitivity to light and sound, symptoms characteristic of migraine. The daily headache may be bilateral, mild to moderate severity, with a “hatband” effect, similar to tension-type headaches. However, in many patients, the symptoms will be ambiguous. Many of these patients have been misdiagnosed and treated inappropriately. Due to the chronic nature of their headaches, the patients tend to take analgesics on a daily or near daily basis. Other patients will be using large amounts of caffeine in beverages and/or analgesics. Mostly commonly overused are narcotic pain relievers (e.g. Vicodin, hydrocodeine, etc), butalibital containing prescriptions (e.g. Fiorinal/Fioricet, etc) and over-the-counter analgesics, especially those containing caffeine (e.g. Excedrin, etc). Ergotamine abuse and over use of the triptan class of medication can also occur in patients with coexisting migraine and tension-type headaches. Use of any analgesics or combination of analgesics (e.g. alternating medications every several days) in excess of 10-15 treatment days per month predisposes to this syndrome. Before prophylactic treatment is started, the overused agent must be discontinued. When they stop the drug, they will experience withdrawal headaches. Treatment should be done only under a physician’s care. Many patients with coexisting migraine and tension-type headaches have co-existing medical problems such as hypertension or psychiatric disease such as depression. The antidepressants are considered the agents of choice in the prophylactic treatment of this syndrome. These drugs may be effective for both their antidepressant action as well as their analgesic effects. Some patients may respond to anti-epilpetic drugs such as divalproex sodium or topiramate. Due to the complexities of this syndrome, the use of combination therapy is often indicated. These can be combinations of antidepressants in the tricylic family with a monoamine oxidase inhibitor (MAOI). Other patients may be treated with a beta blocker, calcium channel antagonist or antiepileptic drug in combination with each other or with an antidepressant. Botox injections may be useful for the treatment of this chronic headache condition. Patients whose headaches are not responsive to treatment in the primary care setting may require referral to a headache specialist for comprehensive treatment. Non-pharmacologic treatments such as physical therapy, biofeedback and counseling are also important adjuncts in treatment of this condition. Combination therapy of an MAOI with a tricylic antidepressant should only be undertaken by a physician experienced in this treatment regimen. Ideally, combination therapy should only be started in an inpatient setting, which provides for the careful monitoring of the patient and prevention of serious interactions between the drugs. Patients on MAOI must be carefully instructed regarding the avoidance of tyramine-containing foods and drugs, which interact with the MAOI. The NSAIDs also have been effective in the prophylaxis of coexisting migraine and tension-type headaches. These agents have been used successfully in the abortive treatment of the acute headaches, and are not associated with dependency problems. Safety of long-term use must be considered due to the possible risk of kidney damage, heart attack and gastro-intestinal bleeding. Any drugs that may lead to dependency problems should be strictly avoided in patients with coexisting migraine and tension-type headaches. If the patient must be withdrawn from these drugs, the patient should be admitted to a specialized inpatient unit where careful monitoring for withdrawal symptoms can be handled, and the patient can receive appropriate pain relief measures.